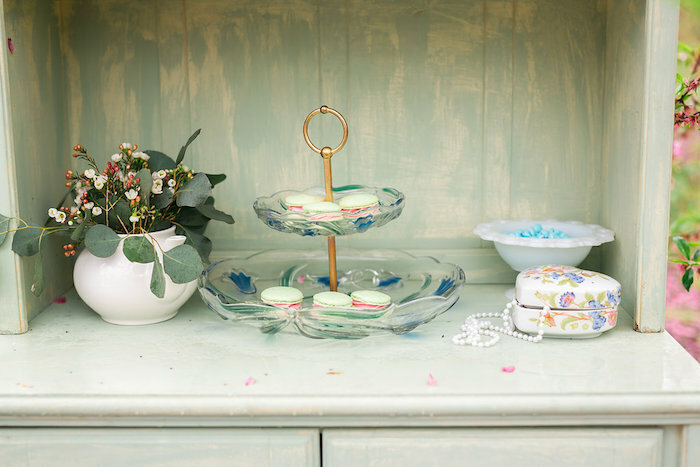 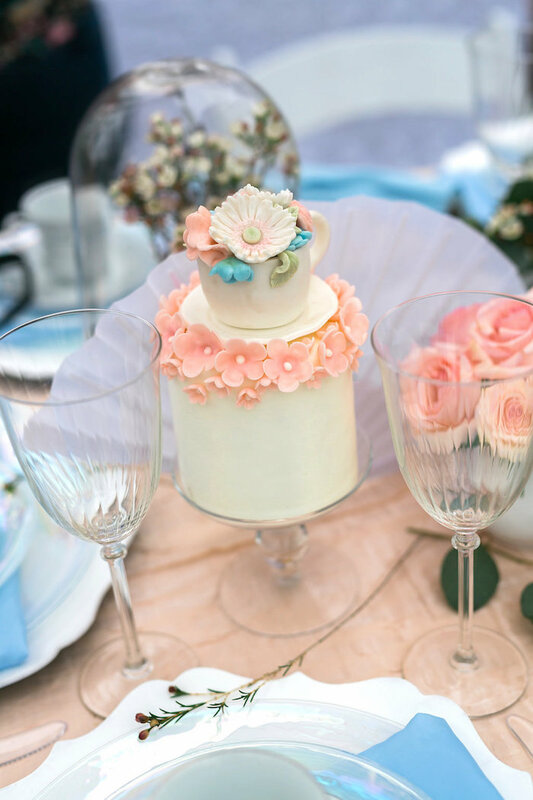 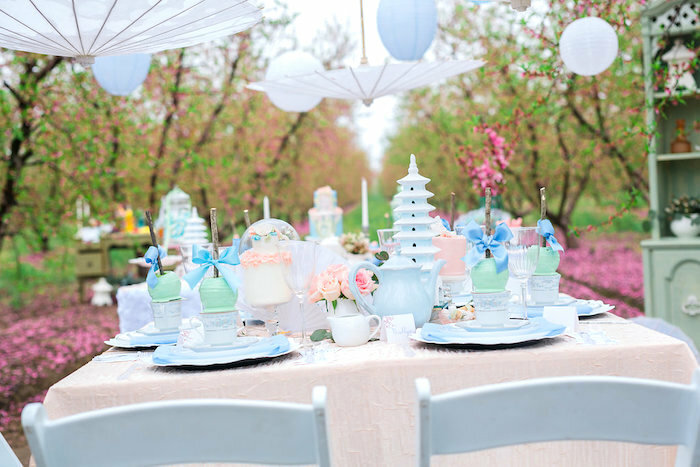 Looking for a stunning bridal shower theme? 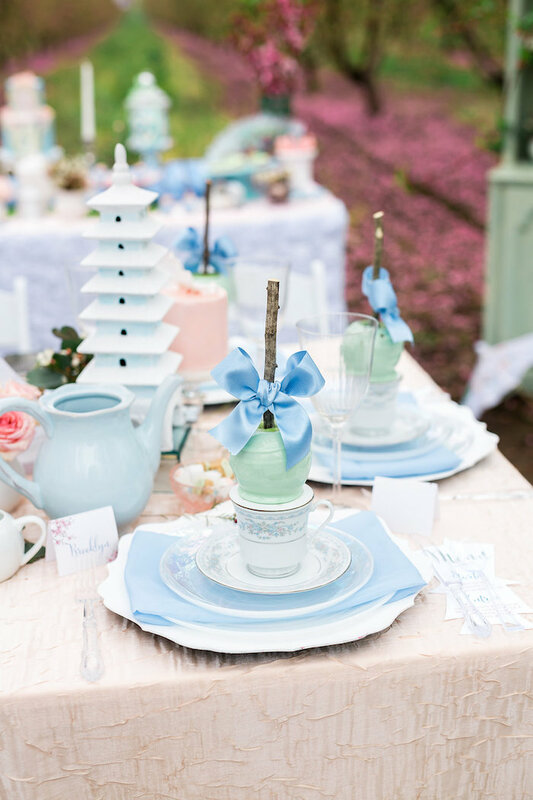 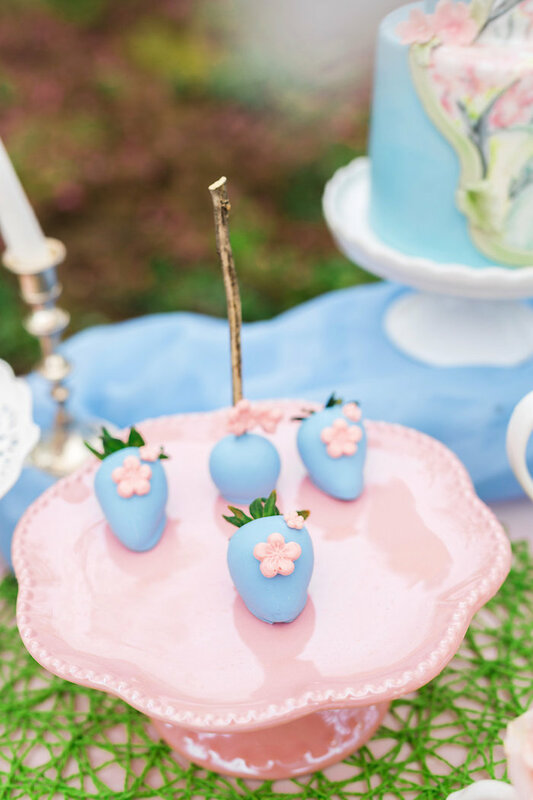 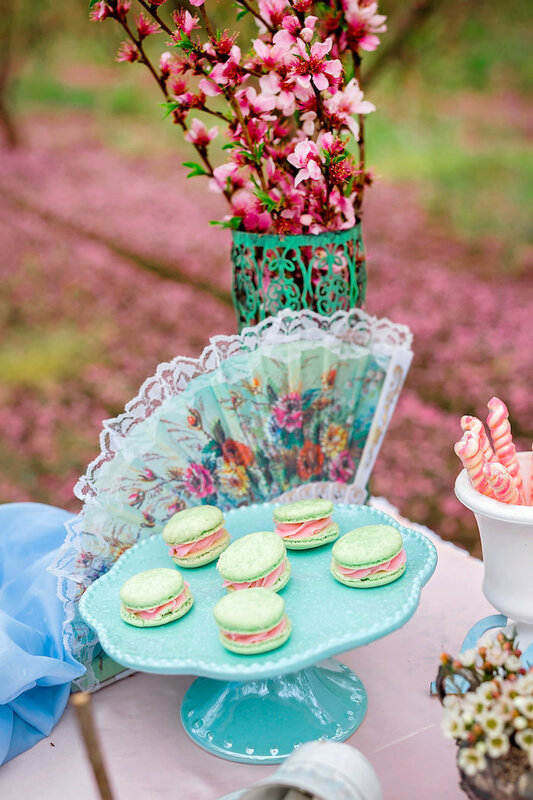 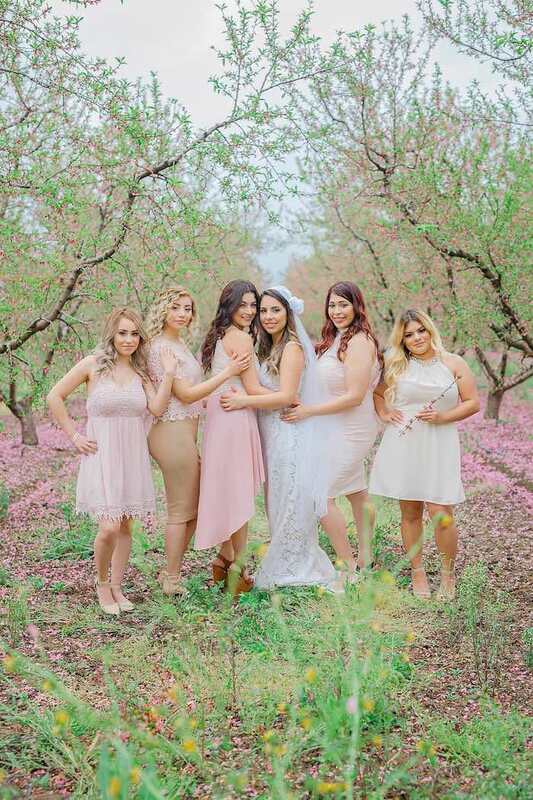 Beauty abounds in this Bridal Shower Garden Tea Party by Carmen Morin of Carmen Navarro Designs, out of Reedley Ca! 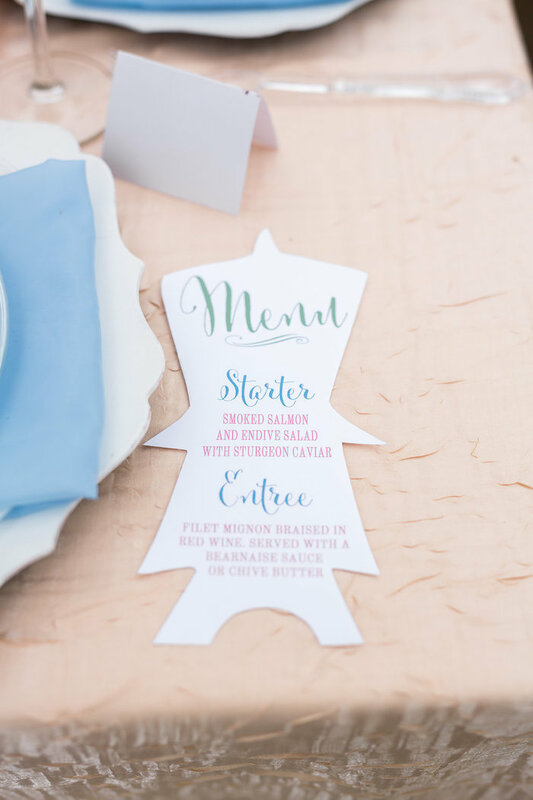 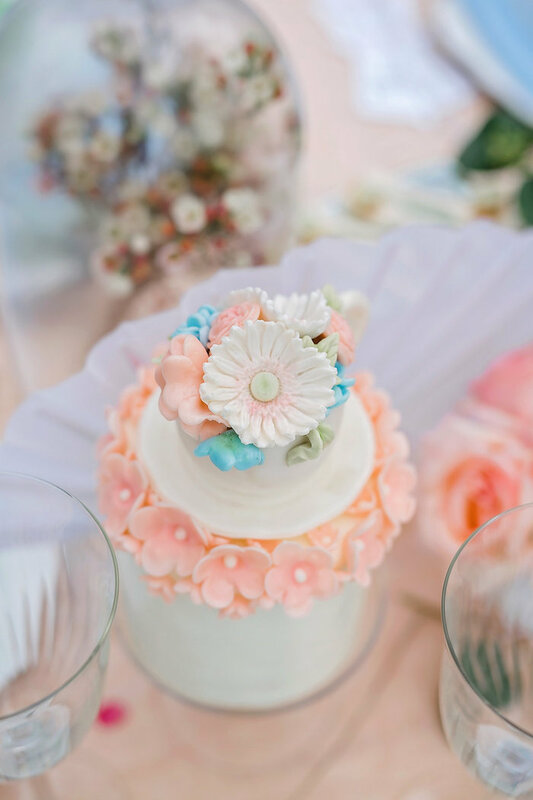 From the gorgeous florals to the lovely tablescapes and spreads, this bridal shower is full of details you won’t be able to take your eyes off of! 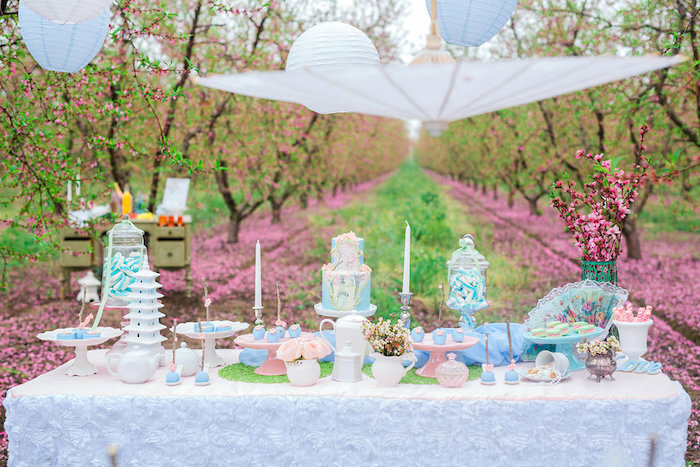 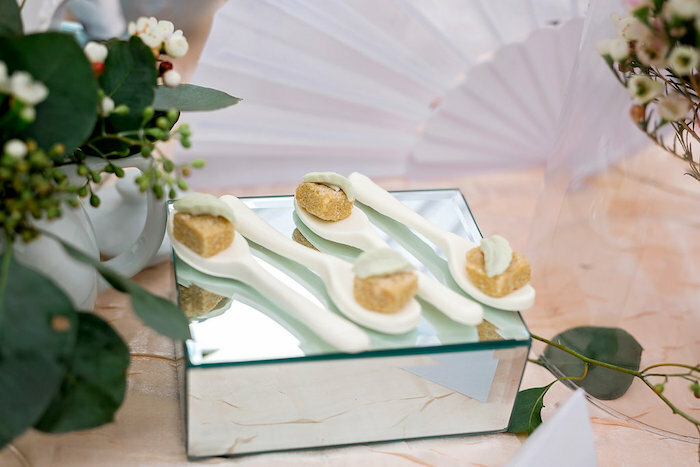 and beautiful place settings with gourmet candied apples! 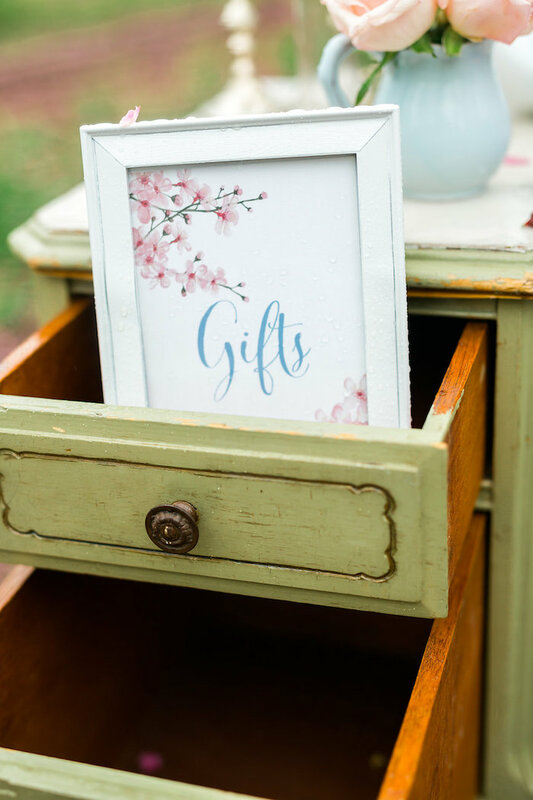 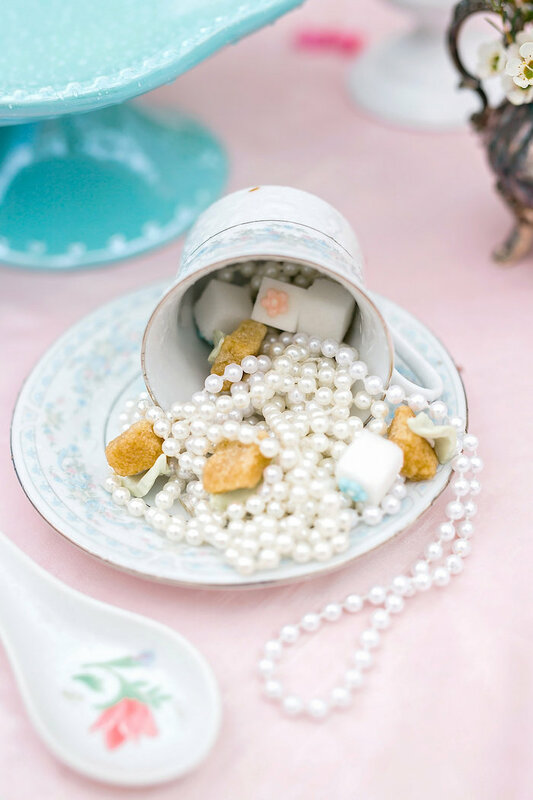 This is what Carmen shared about the party- “Being inspired to design a Bridal Shower tea was easy, adding a Japanese twist to it, made it intriguing and that much more beautiful. 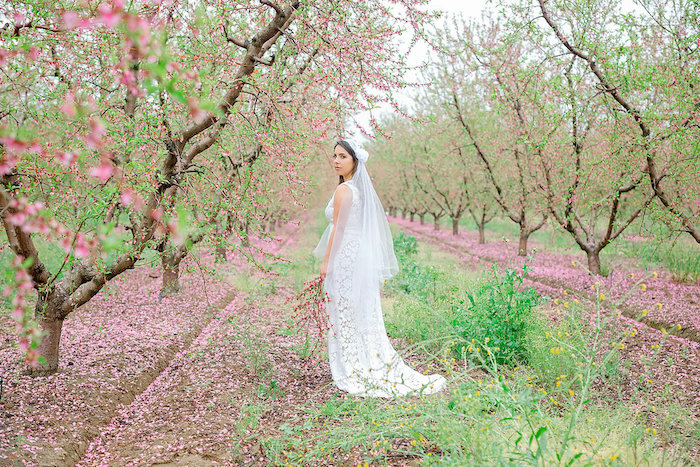 I wanted to do a theme that was romantic. 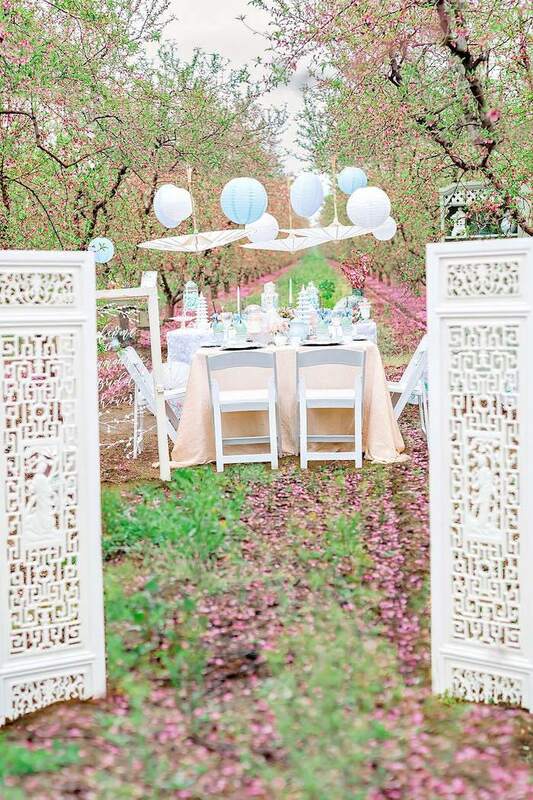 That is where a Japanese tea Bridal shower came to play. 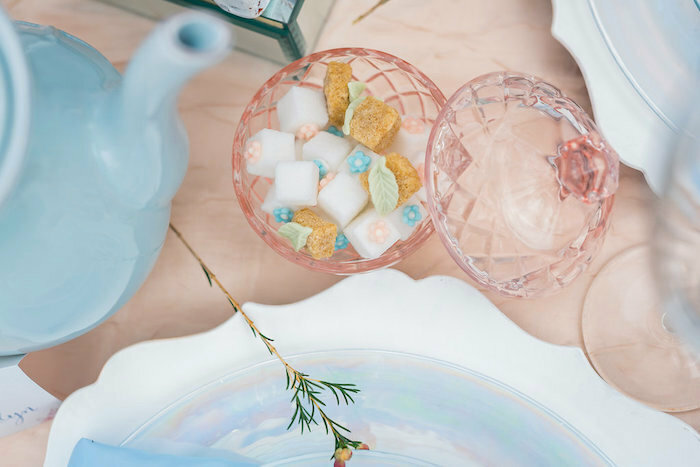 We took your typical bridal shower tea and brought it up a few notches with Japanese accents. 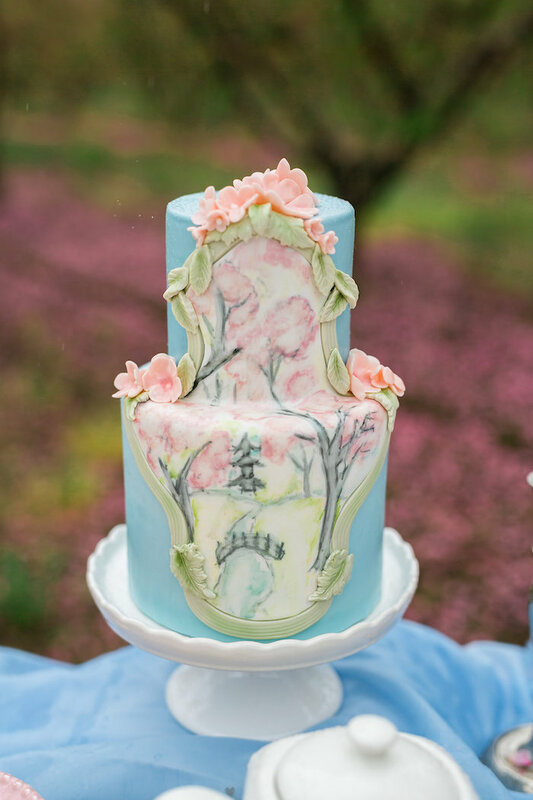 Japanese Cherry Blossoms and architecture, were some of our influences throughout the shoot. 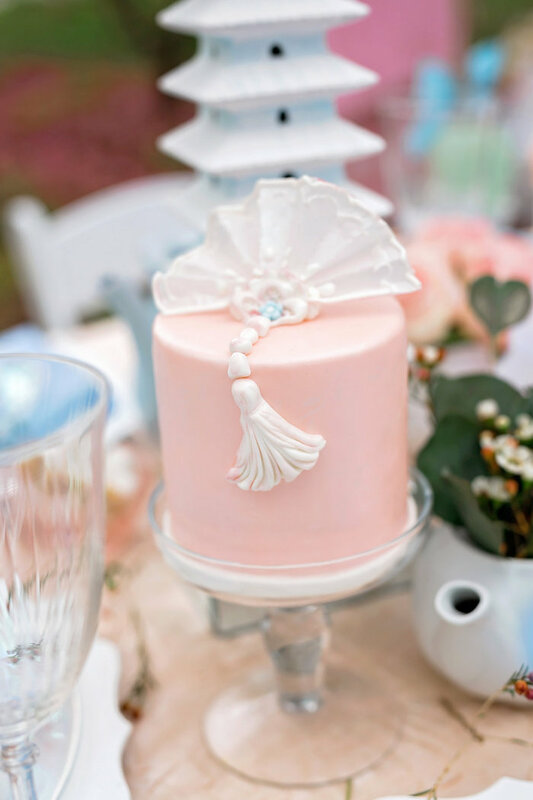 Along with a soft romantic color palette. 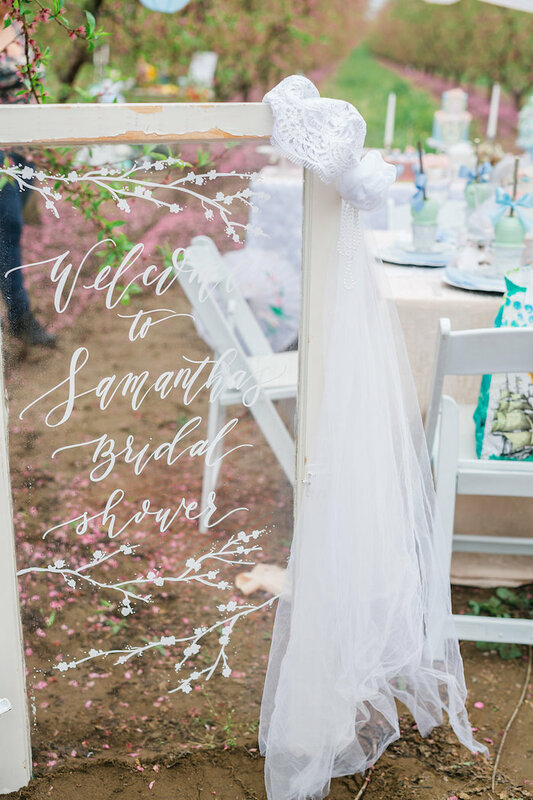 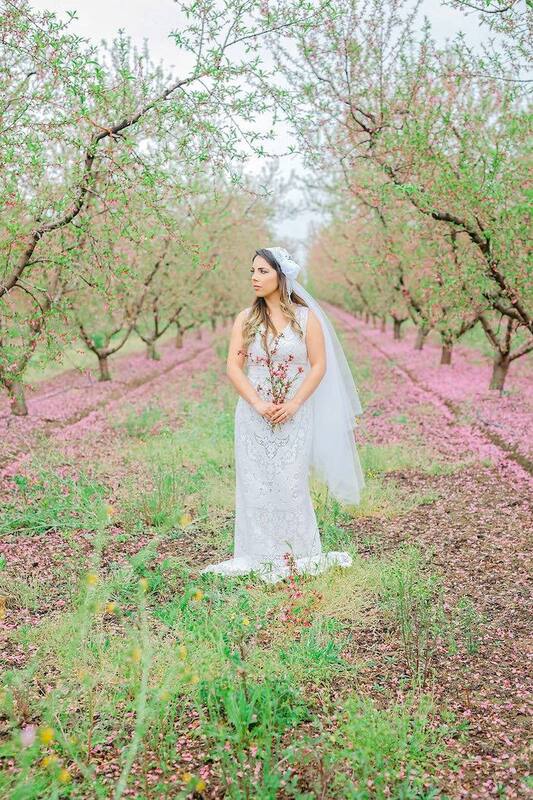 This setting, aside from being unique was all about romance, beauty and nature I wanted this to be something your average Bride-to-be can implement for her own shower. 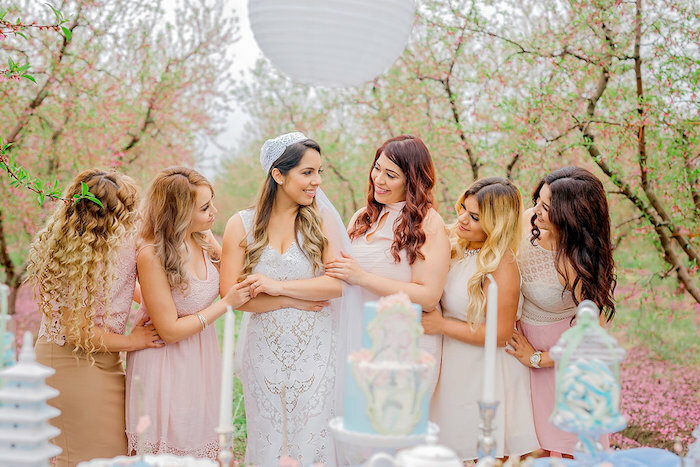 Whats better than celebrating your upcoming big day with all your best gals? 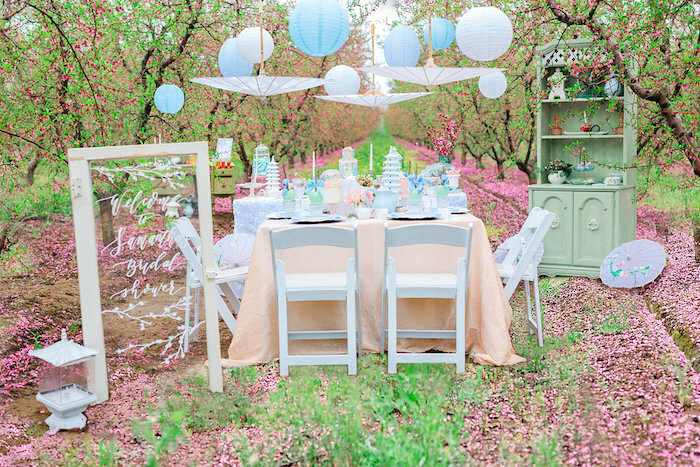 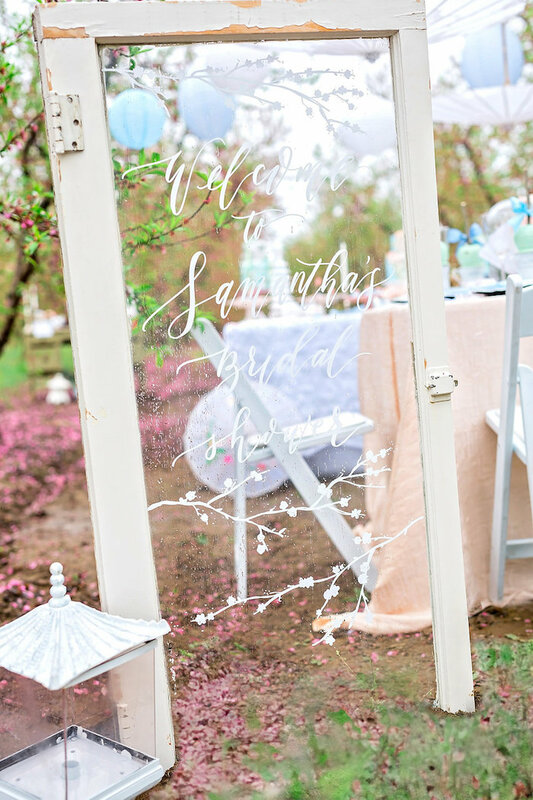 How about celebrating in a romantic setting among beautiful cherry blossoms. 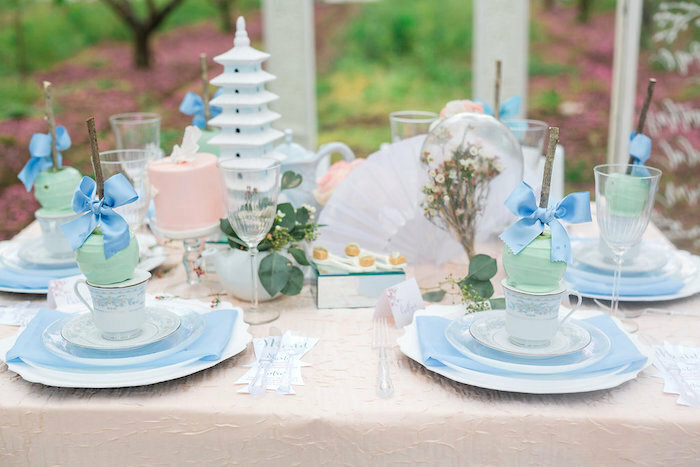 An assortment of curated decor and linen from Carmen Navarro Designs Collection, were layered on the guest tablescape. 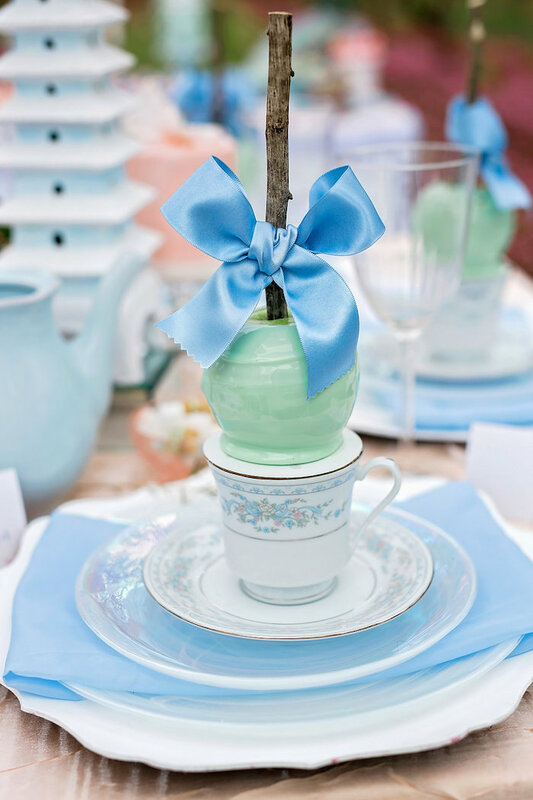 Gorgeous Candy Apples from Mammarellas sweet treats adorned each place setting. 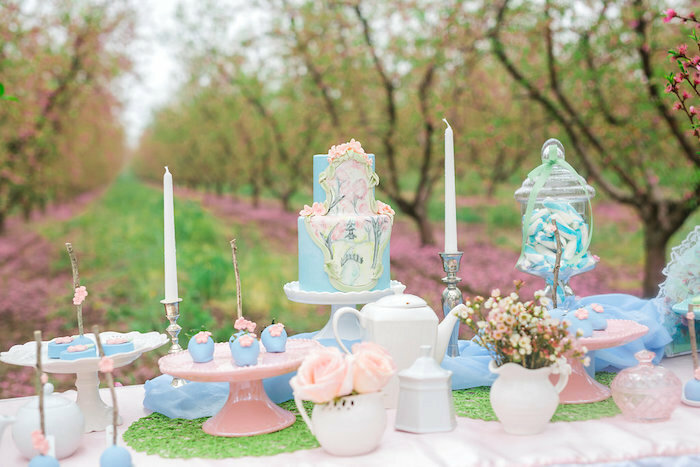 Decadent Cakes by Irenes Dessert table, Clear silverware, vintage crystal, white matte chargers, vintage china tea cups from Rickety Swank and an assortment of mixed floral from the Expo Floral completed this gorgeous tablescape. 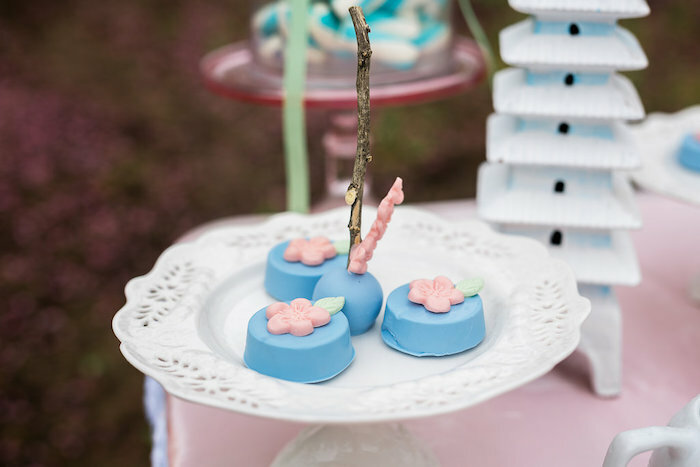 Magically Baked displayed an assortment of French macrons, chocolate covered strawberries, Chocolate covered Oreos, & Cake pops on her dessert table, anchored with a cake designed by Irene from Irenes Dessert table. 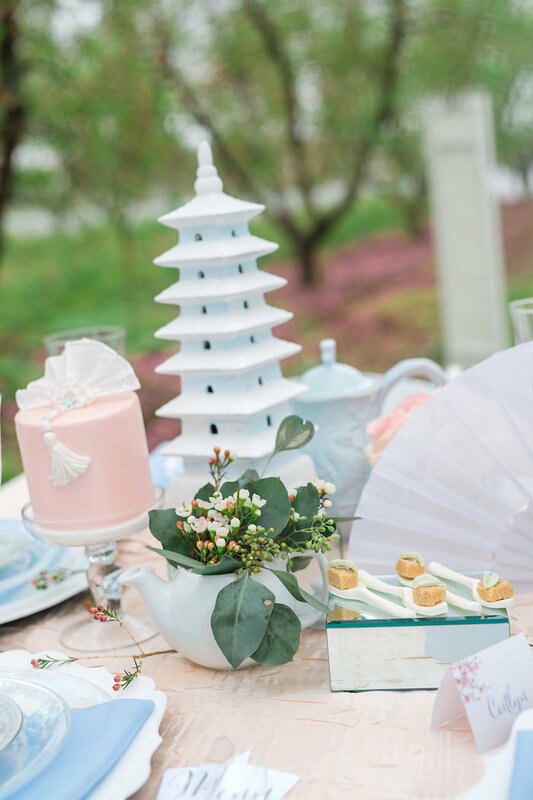 Paper lanterns & Paper Umbrellas added fun yet soft Japanese visuals. 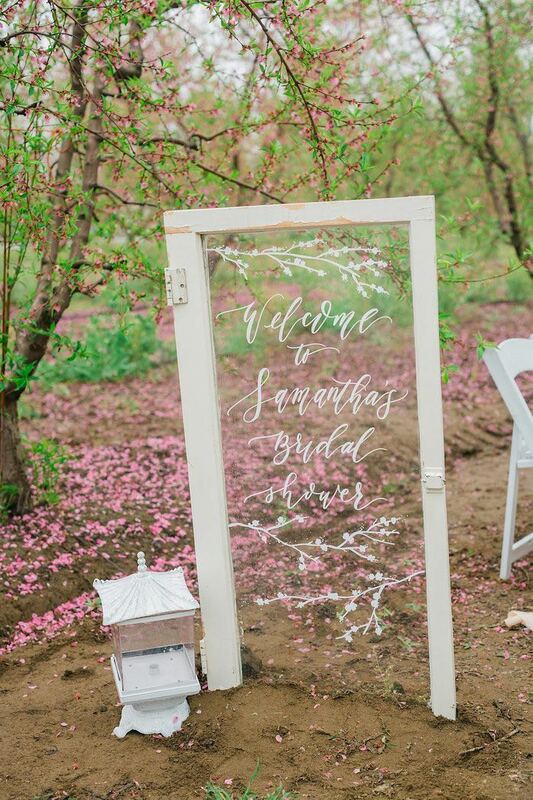 A hand written welcome sign by Letters to u had a touch of romance to it. 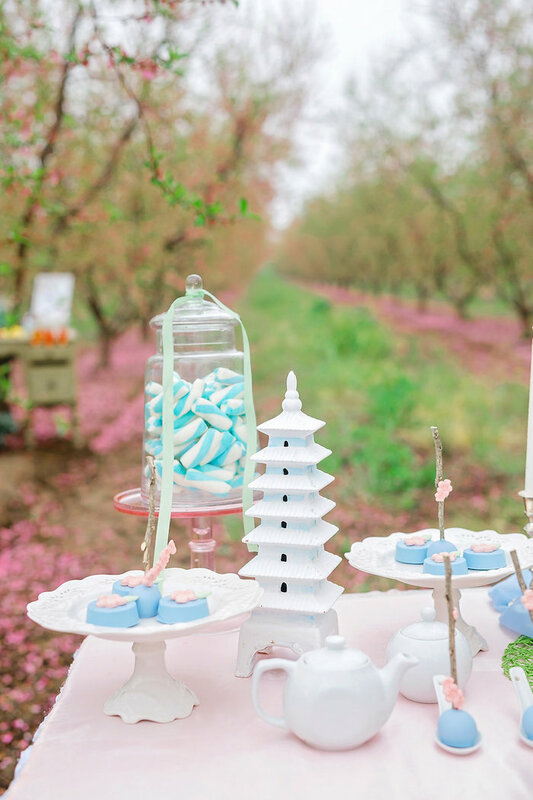 Japanese inspired shutters from Neiman Marcus invited us in to the setting perfectly. 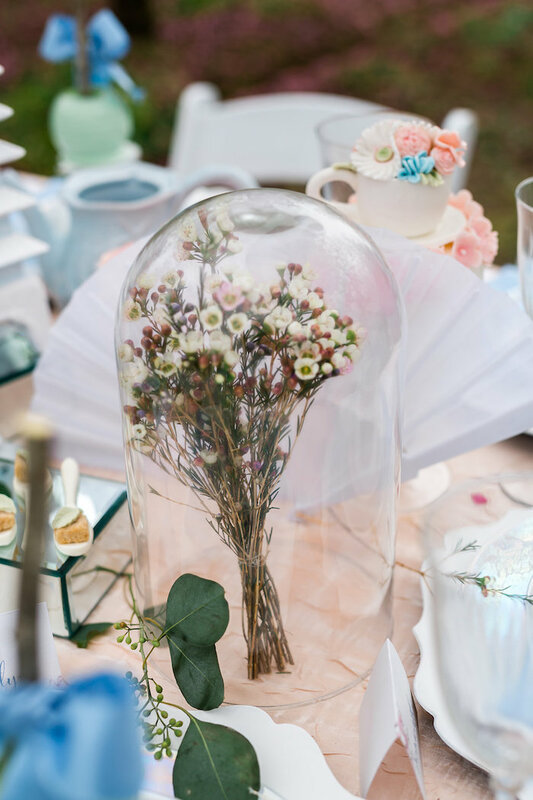 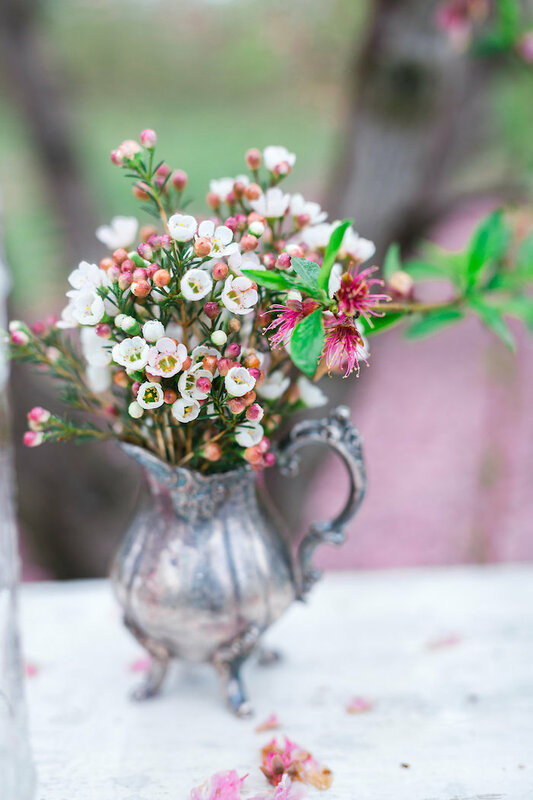 Mixed floral in assorted vases, jars and teapots added a romantic visual. 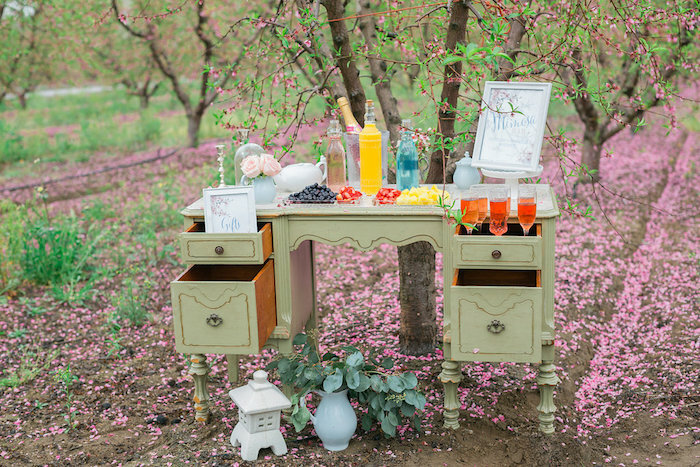 Don’t miss these amazing bridal shower party ideas here!